When optimizer is on, QODBC will automatically create an opt file to store the optimized data. When you reset QODBC optimizer, deleting the opt file is required. But we have received some reports that opt files cannot be found. So we write this article to make a brief instruction on how to find Opt files. 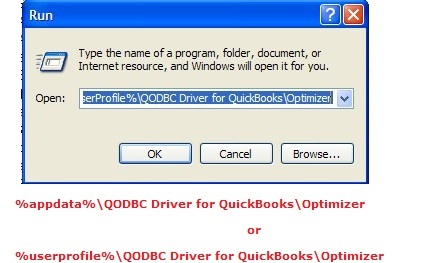 2)In the open option, input "%UserProfile%\QODBC Driver for QuickBooks\Optimizer". This is the default path for QODBC optimizer to store opt file. 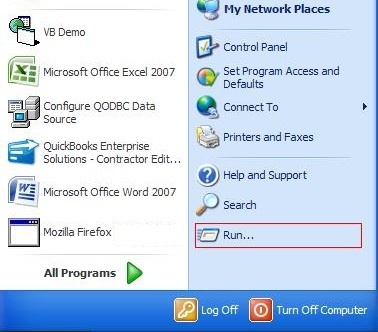 2)In the open option, input "%appdata%\QODBC Driver for QuickBooks\Optimizer". This is the default path for QODBC optimizer to store opt file.